October | 2008 | NICE! Very cool site of a group of talented directors based in Hong Kong. Their videos are presented in an 3D anamorphic ‘ribbon’ of thumbnails, you can zoom in and pan around, and click on any part of the ribbon to view the videos. 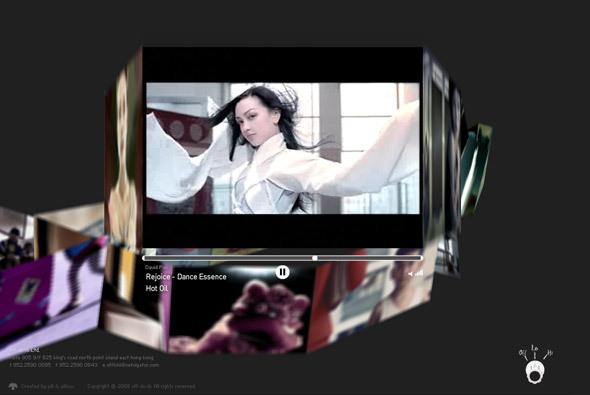 Really like the fluid ribbon, and the unique way the videos are presented, its a nice mechanism to play with – cool. Created by pill & pillow. Interesting site promoting Samsung’s music phones. You can create your own 3D ‘soundscape’, the closer various colourful blocks are to the phone the louder their respective sounds are. There is a wide selection of sounds, which you drag around in the 3D space, you can save it and share it and so on, the gallery is quite nice too. I like the idea and the way you can drag the blocks of sound to create a virtual space which you can then explore also in first person perspective, pretty cool. 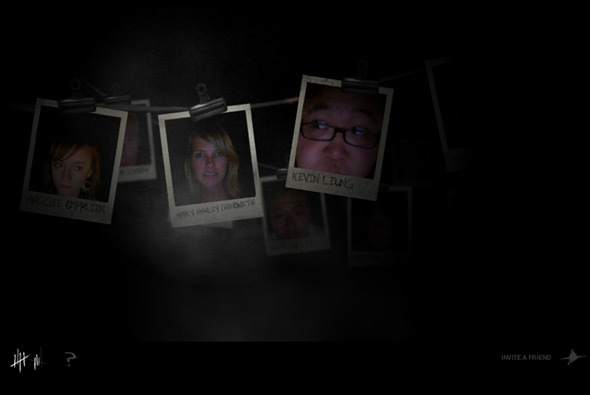 Immersive site, open only from 6 PM to 6 AM, set in a haunted hotel and presented in a first person perspective. The story starts as you awaken and try to escape the hotel, you must complete a series of tasks to get out. These tasks range from clicking on doorways whilst navigating the hotel’s hallways to taking pictures of a ‘thing’ to blind it, to trying not to wake the baby from hell. 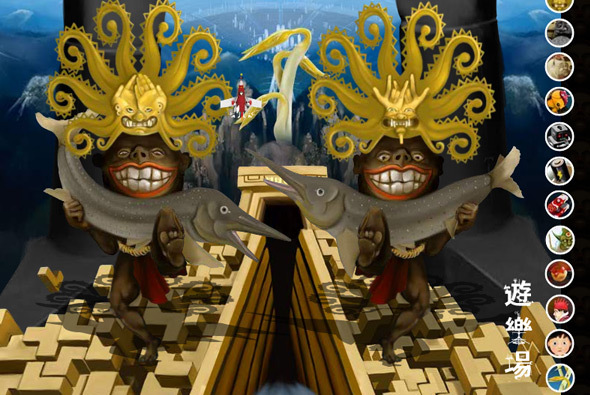 It all has high production value and is very well crafted, from the sound design to the animation to the video. I particularly like the 3d video and the interactivity (although limited) whilst moving through the hotel, the movement it provides feels relatively realistic. Its quite intriguing as it’s all for Doritos, under the guise of the ‘Snack Strong Productions’, who just make nice sites and games like this one. There is really little branding involved – just the concept that Doritos the brand is providing enjoyable experiences like ‘The Quest’ that was earlier in 2008. Made by Goodby Silverstein & Partners, the people behind the famous ‘Milkatraz’ game that was so popular last year. Nice portfolio site of photographer Michael Cook. Interesting way of navigating the pictures – you grab and slide, the next images comes in, click once to zoom in and again to zoom out, this provides an immersive viewing experience – that actually feels quite tactile. 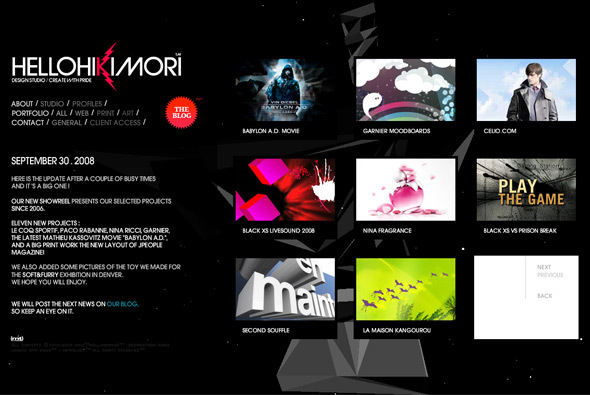 Nice animations on the menu and it is a breeze to use, some good photography also! 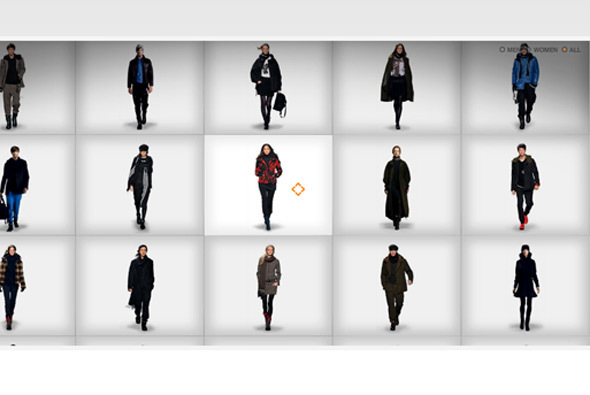 Stylish site for the Y3 collection of Adidas clothing. Like it’s name sake the items are presented as if on a lightbox, you can zoom in to see the details on the clothes and scroll around to explore the video of the model walking, you can view the items from different angles too. Nice design, effects and transitions make this a simple and stylish microsite. Very slick site of clothing label Ecko. Extensive website with a lot of content, presented in a really nice format, more like a magazine with nice visuals and lots of animation. I like that each section is slightly different to each other, and although it is a flash site, there is deep linking and so on. Very well crafted and thoughtout website of a large brand site. Great website of studio Hello Hikimori. Showcasing some really nice work, the site is a slick, stylish, and to-the-point, portfolio. Led by a young creative team this shows in their work – colourful, vibrant, and full of interactivity the 2008 showreel is a must see. 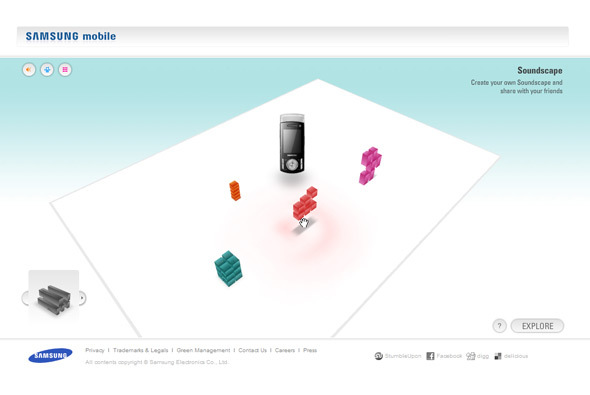 The background animation is a 3d sound responsive flash piece – Very cool. 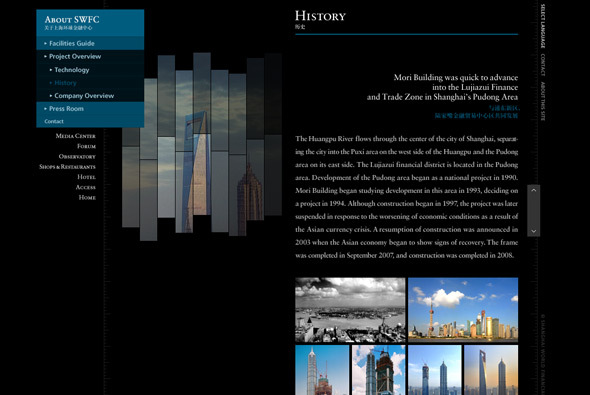 Website of the Shanghai World Financial Center. Interesting website of the huge SWFC building, based on the concept of its height the website is thus very long! In its vertical format you can scroll through the various floors and explore the building, each section cleverly loading when you scroll into its vicinity. Nice use of flash, with deeplinking and so on, slick animations and a lot of detail. Created by Mount Inc and Triple 7. 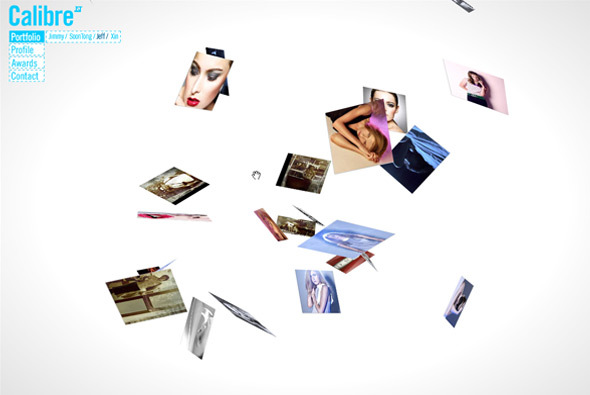 Great photographer’s portfolio site, presented in a really nice way. You can drag and slide each row as if they were laying on a table in front of you, by clicking on an image you slide down and view in a larger format and by default the browser goes full screen, which is a nice touch. Really nice high res photography and intuitive interactivity make this site a joy to use, nice animation and great photography! Surreal parallax vertical scrolling experience! Interesting site that you explore by means of the arrow keys to see random facts about our world. Just a nice distraction with good illustrations and interesting messages. I like the scrolling and the look and feel – pretty cool. Photography portfolio site showcasing photographs in a 3D environment. Clean and simple interface allows the photographs to speak for themselves, drag and rotate to view the photos from different directions. I particularly like the way you rotate the camera to get different angles, it gives the site a lot of depth and allows you to see the images in a fun way. Interactive movie, showing the latest range of lingerie by Agent Provocateur. Very stylised interactive story that plays fullscreen and pauses to get your choice of direction by presenting questions at crossroads in the story. Quite an abstract plot but essentially its just a nice way of showing the lingerie in an intertactive video format that gets the audience’s attention. I really like the visual style and the simplicity of execution. Created by one of my long time favourites Hi-Res. 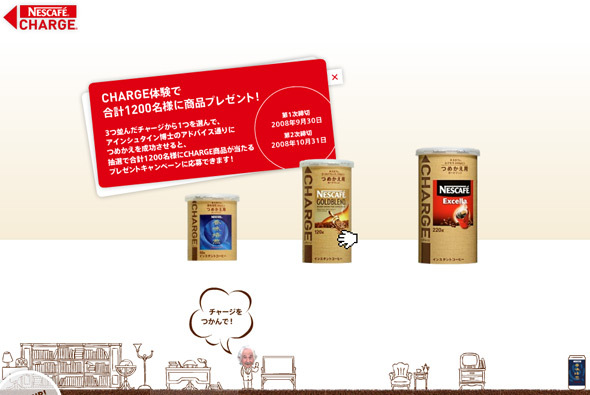 Japanese Microsite for Nescafe Charge, an easy and environmentally friendly way to replenish your instant coffee jar. Again the Japanese prevail, I love the way they demonstrate the product, you learn about it by using it to ‘charge’ an empty jar – it becomes more like an enjoyable game than a product demonstration, by grabbing the charge jar and dragging in onto an empty jar, then dragging down to simulate how you would use it in real life. Along with the slick animations and ease of use I feel its a thoroughly effective way of promoting a product.